Each piece is carefully handmade for your child. 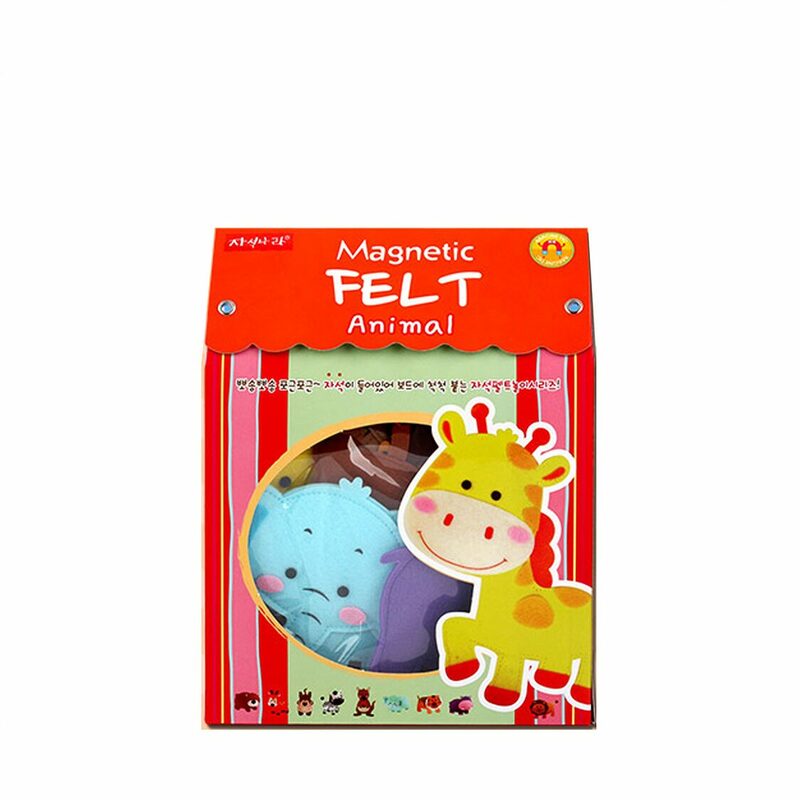 5 different themes of felt magnets with friendly characters in vibrant colors will bring your little ones to daily fun activities. Children will develop fine motor skills and creativity while extending the word stocks. Magnet is hidden with felt to avoid any accident. 100% Made in Korea & KC approved and tested. Hand washable. Magnet works well with any magnets, fridge, and steel furniture. Best combination would be with full-sized premium board ; momsboard.